One day while surfing the web at work, Abe came across Adventist sermons on YouTube. He had never heard anything like them before, and he was inexplicably drawn to the truths he was hearing for the first time. As Abe dug deeper and compared them with the Bible, he was convinced that what Adventists taught was the only thing that biblically made sense. He learned that God still invited His people to take a break from the busyness of life on the seventh-day Sabbath and to spend it with Him, and that salvation came not from keeping a list of rules but from having a relationship with Jesus. Abe longed to follow the light he had been shown, but going to a Seventh-day Adventist church was just too different from the world in which he belonged. 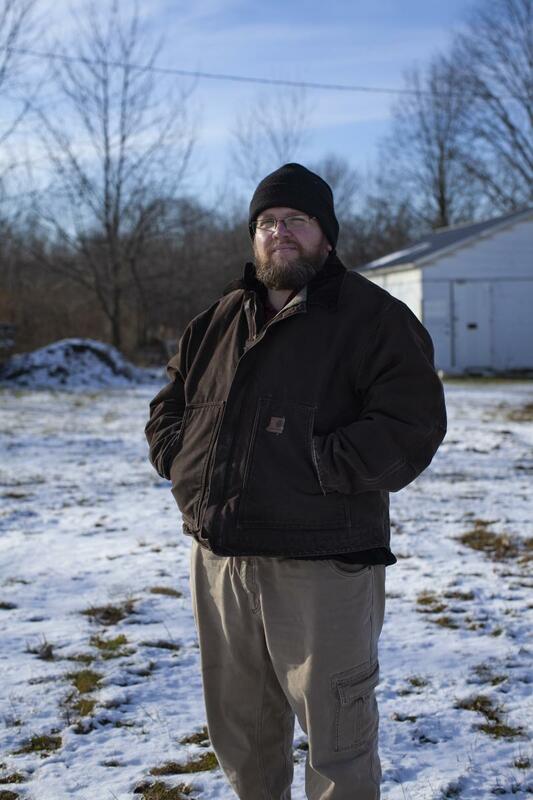 Not knowing where else to go, Abe began keeping the seventh-day Sabbath on his own at home while continuing to attend the Amish church on Sundays, all the while wishing there were other Anabaptists with whom he could fellowship on Sabbath. One Saturday evening while on Facebook, Abe saw a post by an acquaintance who commented about what a hot day it had been to wear her Amish clothes to church. 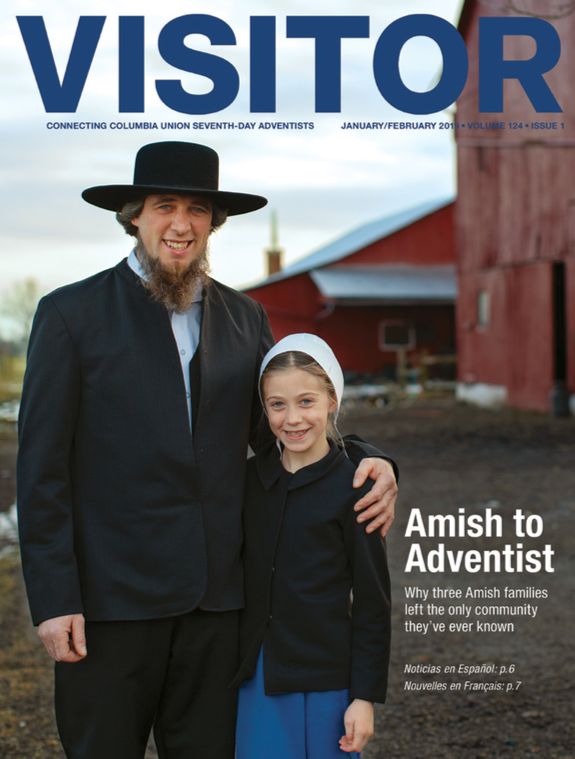 His heart began to beat faster as he quickly scrolled through his News Feed and researched if there was indeed an Amish congregation who met on Sabbath. It was not long before he stumbled upon Andy and Naomi’s testimony on YouTube, and knew he would need a ride to the West Salem Mission. Without a car, the only way he could get there was by means of his brother Vernon. Vernon Raber, also from Ohio, moved to Florida at the age of 20 in an effort to get as far away from his Amish upbringing as possible. Being overweight as a child, Vernon had been ruthlessly mocked by his Amish schoolmates and church peers and wanted to escape as soon as he could. Florida brought its own share of challenges, however, and Raber found himself embroiled in drugs and alcohol. 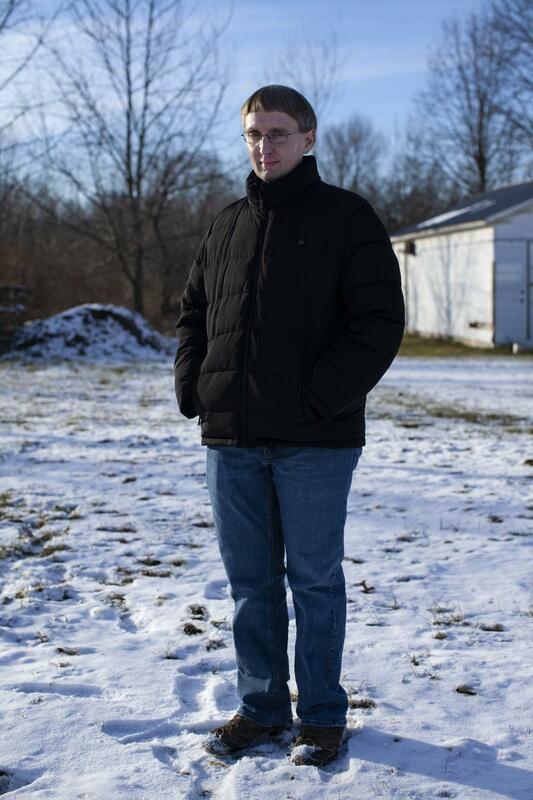 He moved back to Ohio but decided to attend a Mennonite church instead of an Amish one. Several years later, Raber’s mother passed away. Being taught all his life that when someone died they went straight to heaven or hell, he couldn’t help but wonder if his mother had made it to heaven. The mental picture of his mother screaming and writhing in the eternal fires of hell almost drove him out of his mind. With subsequent deaths in his family, the mystery of death kept gnawing at Raber and led him to begin searching for answers. Around this time, his brother Abe discovered Adventist sermons on YouTube and began sharing them with Vernon. When Vernon discovered that the Bible did not teach an eternally-burning hell, but a swift, just punishment after the close of time, his sense of relief was indescribable. Then after learning about West Salem Mission on YouTube, Abe asked Vernon to drive him there. Vernon was happy to oblige. The moment Vernon walked into the worship service, he was awash with a strong sense that this was where he was supposed to be. As a devoted steak-eater though, the only thing he did not like was the after-church potluck. “Man, that vegetarian food is awful,” he complained to Abe after their first visit. Now, one year later, not only is the potluck fellowship one of his favorite things about the church, he has lost more than 30 pounds by following the Adventist health message. Abe agrees. Growing up, “I was taught it was keeping church rules that saved me, and if I sinned, I would just have to confess it to my bishop. Since becoming acquainted with Adventists and studying the Bible for myself, the best thing I’ve learned is to have a real relationship with Jesus Christ, and that is what really saves,” he says.